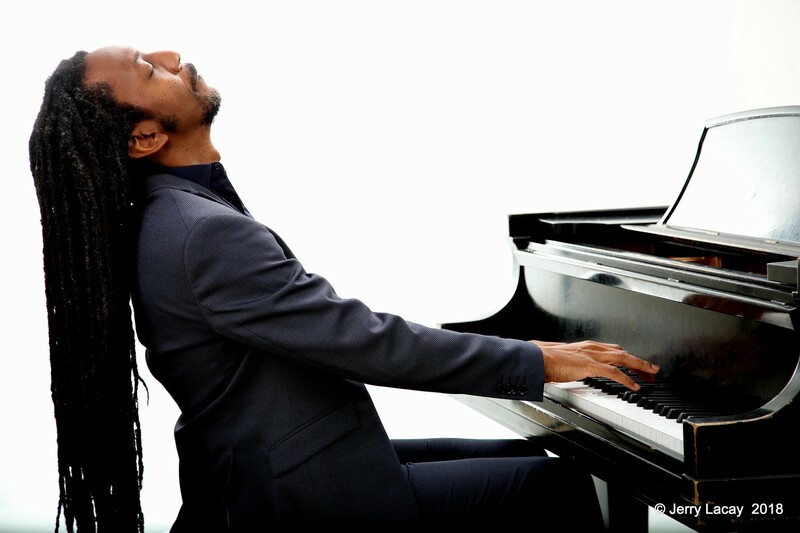 Elio Villafranca and the Jass Syncopators — Quite a Night! Last night was a special evening for the people in Philadelphia who love the Painted Bride Art Center and who love pianist/composer Elio Villafranca. One could say the concert by the Jass Syncopators was bittersweet, but the gloom was palpable since mostly everyone knew this performance was very likely the last at the beloved Bride. Even the outside of the building, all draped in black, stressed the sadness of the staff and the audience. 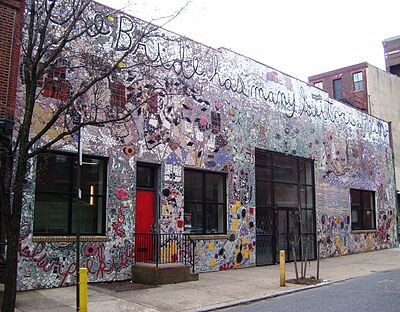 This revered arts organization started as a storefront on South Street in 1969, and eventually moved to a large industrial space in Olde City in 1982, covering itself with the gorgeous mosaic art of Isaiah Zagar. The Bride dreamed of big things and mostly achieved them booking programs created by all cultures and walks of life, from ADELANTE!, a celebration of Latin Arts, to Voices of Dissent, a consortium of multi-cultural, community-based organizations who together explored the arts as a vehicle for social change. The Bride featured African dance, clog tapping. jewelry making, ceramics, watercolors, and music from literally every part of the globe. Performances there included drama, mimes, puppeteers, storytellers, and even local musicians on a new Philly jazz label of which I was a part. But once the show started last evening, the mission of this storied institution held forth and touched every soul in the room. Elio Villafranca told the crowd how important the venue was to his early development as a musician after his arrival from Cuba 22 years ago and that it was a significant loss to the community. After niggling around with a laptop to provide some narration to his Grammy-nominated, five-movement suite Cinque, the band was off. The energy was all-encompassing for the next two hours. As the music progressed through the five movements, the unique instrumentation of the front line: Vincent Herring (alto saxophone, soprano saxophone, and flute), Greg Tardy (tenor saxophone, clarinet), Todd Marcus (bass clarinet), Freddie Hendrix (trumpet), and James Burton III (trombone) deftly played the complex arrangements depicting each rebellious struggle on five Caribbean nations — Cuba, Haiti, Puerto Rico, Jamaica, and the Dominican Republic. The bi-tonal call and response juxtaposed against the pulsing texture of the rhythm section (Elio Villafranca, bassist Ricardo Rodriguez, and drummer Lewis Nash) was mesmerizing, and the way the percussionists (Arturo Stable and Jonathan Troncoso) were woven into the story-telling throughout seemed to define and distinctly draw each culture from every colonized island. It seemed Villafranca had taken some lessons from the Ellington chord voicing book and the Duke’s penchant for writing for individual musicians to create a collective authenticity of the entire band. The musical dynamics of the Syncopators was exceptional moving from moment to moment internalizing the push and pulls, the loud and the soft, the frenzied and the serene. Villafranca’s playing was sweetly expressive and expansively percussive, and even though he had his back to the audience (thank goodness we could see his hands!) to conduct, he never, ever ignored his audience, entreating us to sing (and we did), to clap (and we did), and to stand up (we did that too). The Painted Bride Art Center has gone through some strategic thinking over the last two years and decided that the upkeep of the building was hurting their special mission, to nurture artists like Villafranca and bring creative arts not normally experienced to Philly. Has the organization received some angry blowback from the larger community? Yes, they have, but as beautiful and historic as the building is, it is still the art that has lived in it and the people who made it that is important.